In 1995, the movie Braveheart was released and it was instantly my favorite film. My family had it on VHS and I’d watch it repeatedly. It’s not a short film – it came on two different tapes so you had to take the first tape out and put in another mid-way through. That was the 90’s, though. 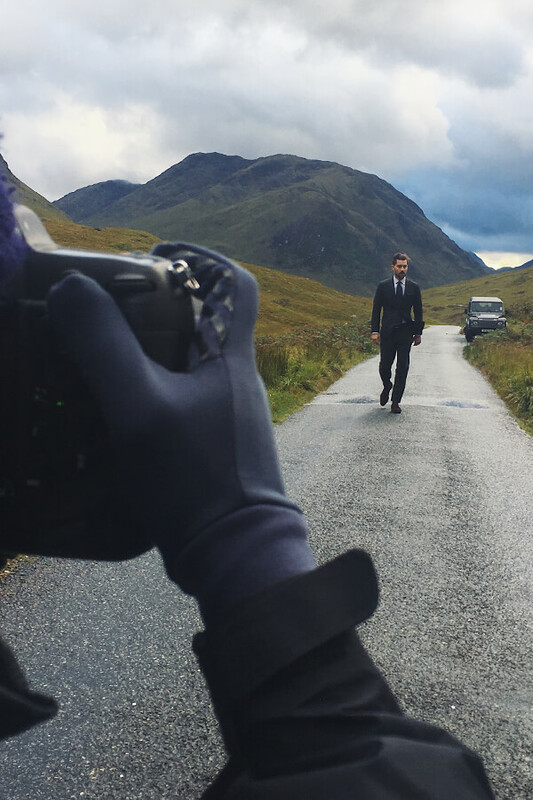 The beauty of the Scottish Highlands left a strong impression on me and it seemed like the perfect location to shoot our F/W 2017 campaign. As with all of our shoots, we were under a lot of pressure to move fast and keep within a tight budget. So, we kicked things off with a red-eye flight in economy, a 4-hour drive in a left-handed stick-shift Land Rover, and a 16-hour work day. But The Highlands were worth it. The lush, deep greens were everything we had hoped they would be. The steep mountains and the sheer scale of nature was breathtaking. The weather was as expected. It rains. All the time. Occasionally, the rain suddenly stops and the sun comes out…and it’s glorious. This intermittent weather meant we had to move fast. Often times we’d drive to a location and then wait in the car for 20 minutes for things to clear. The windows of opportunity might last just a few minutes. No second chances here. The pressure was on, but the team did a great job. Everybody was completely soaked at the end of each day, but nobody was complaining. 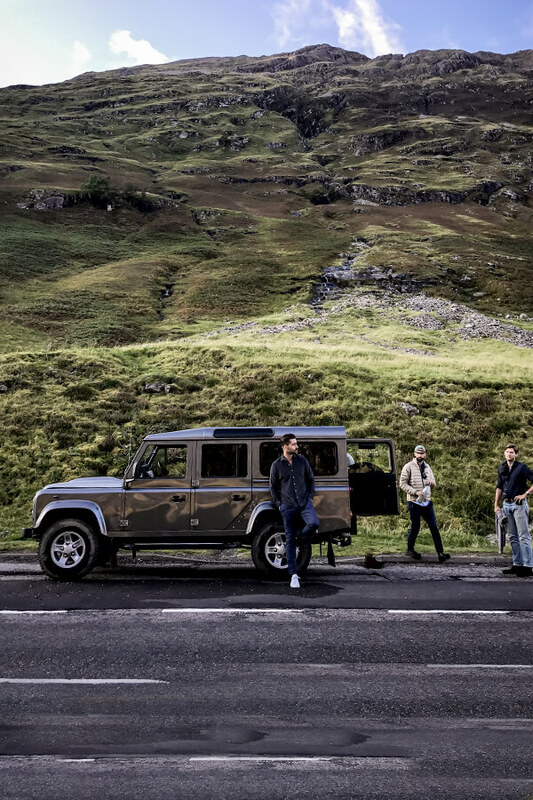 On Day 2 we drove to the Isle of Skye, a remote island on the Northwest side of Scotland. 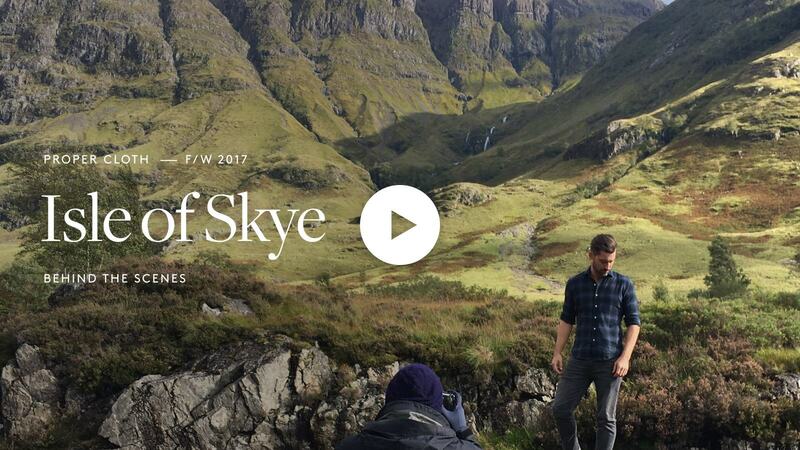 Isle of Skye doesn’t have many people, let alone restaurants or places to stay. Not much civilization in general. What it does have is a wealth of incredible mountains, cliffs, coastline, castles and untouched landscapes. 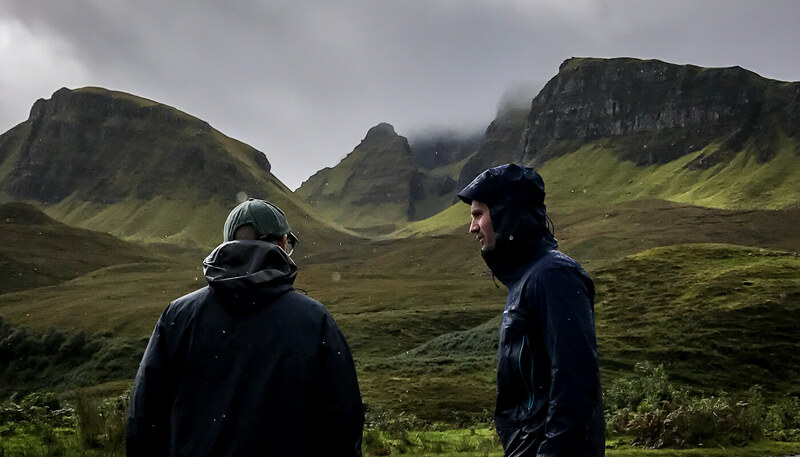 This was definitely our favorite part of Scotland. The feeling of being miles from the nearest person in a totally stunning location on the edge of the Atlantic was surreal. The people in Scotland were wonderful. Friendly, and a bit quirky, and with a great sense of humor. Some of the accents were completely indecipherable, but usually a smile and a nod got the right message across. The food was simple and satisfying, in particular, a fish soup called “Cullen Skink”. It’s absolutely perfect when you’re soaking wet, cold and tired. Special thanks to all the folks who made this trip a success. Particularly our model Chris Brown for being such a good sport and Compass Coalition for making such a great video. Josh Figgs, Chris Parker and Dominique Classens all were amazing to work with as usual. We’re so grateful to be able to share a video like this and tell our story just a bit better.